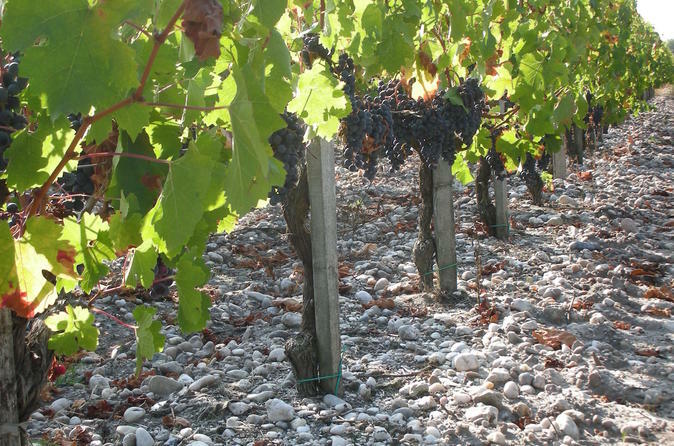 Join this small-group day trip to the Saint-Emilion and Pomerol wine-making region of France. 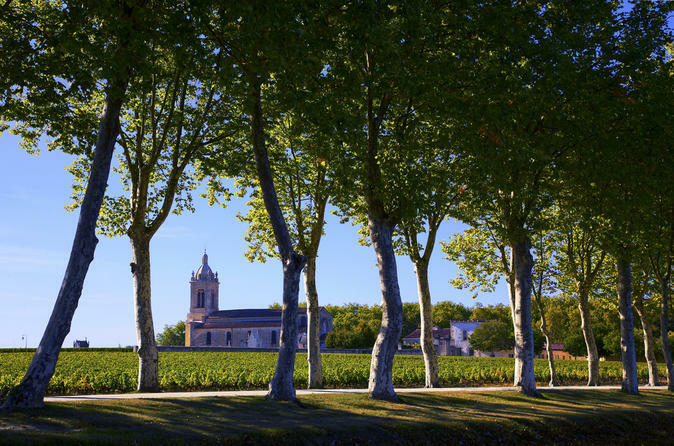 This full-day guided excursion from Bordeaux offers picturesque scenery, sightseeing and fine wines – the perfect day out from the city! Sample Bordeaux wines in two fascinating chateaux and explore the charming UNESCO World Heritage-listed village of Saint-Emilion. Numbers are limited to a maximum of eight people, ensuring personalized attention from your expert local guide. Join this small-group tour from Bordeaux to discover the beautiful medieval village of St Emilion. 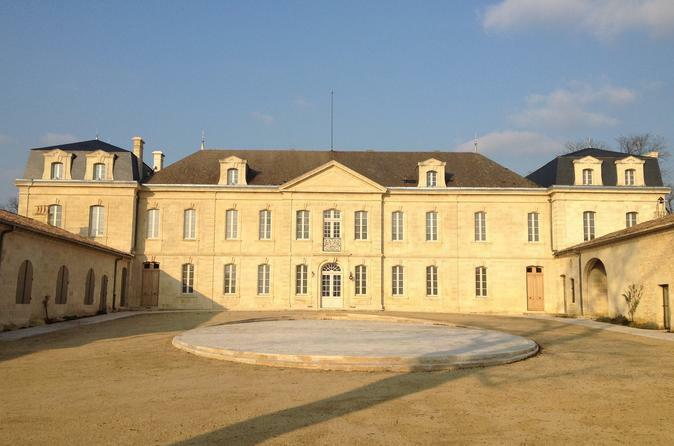 Start the tour with a visit and wine-tasting session in a grand cru estate of St Emilion. 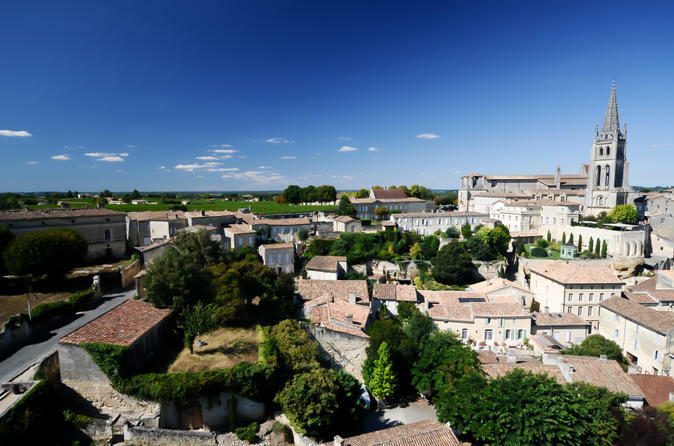 The village of St Emilion is named after a Breton monk from the eighth century whose followers started wine production in the area, it is a UNESCO World Heritage Site and a beautiful place to spend a couple of hours. Walk along the original city walls and climb the steep cobblestone streets, exploring wine cellars, artisan studios and art galleries with your guide. You’ll also have free time to enjoy a wine tasting. Numbers are limited to a maximum of 8 people, ensuring personalized attention from your knowledgeable guide. Join this small-group wine tour from Bordeaux to the Médoc for a full day of scenic drives and wine tasting. The Médoc produces some of the most renowned red wines in the Bordeaux wine region and offers some of the best wine-tasting opportunities in the whole of France. 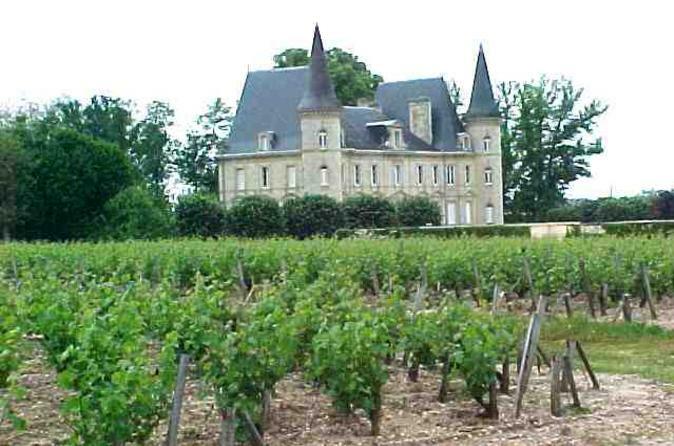 You will visit famous classified growth vineyards and castles, where you can taste wines from the Médoc. Throughout the day, you can admire some of the most beautiful chateaux in France as you enjoy three visits to wineries. Numbers are limited to a maximum of 8 people, ensuring personalized attention from your knowledgeable guide. Get an introduction to Bordeaux, the wine capital of France, on this 2-hour walking tour perfect for first-time visitors. Visit Bordeaux’s main sights including the Monument aux Girondins, Place de la Bourse and Place de la Comédie. Walk along the Garonne River, stroll the buzzing pedestrian street of Rue Sainte-Catherine, and admire the architecture of the Grand Théâtre, one of France’s famous theaters. Learn about the sights and history of Bordeaux from a guide along the way. On this small-group wine tour from Bordeaux, you’ll enjoy scenic drives through the Médoc wine region and taste some delicious French wines! During this half-day tour, visit two famous wineries – both are classified growth chateaux – with a wine guide, and enjoy wine tastings at both. 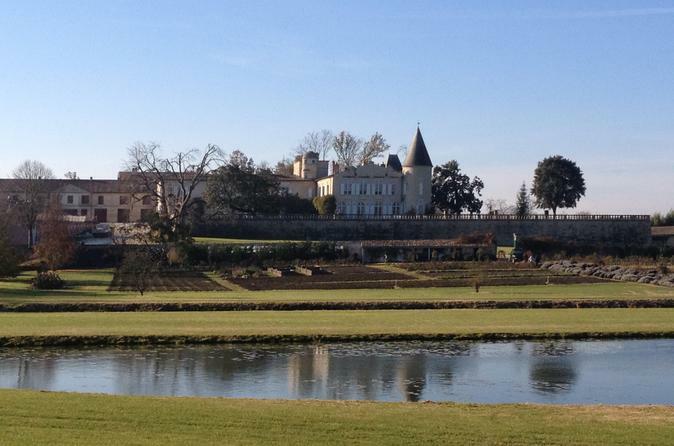 On the picturesque journey between the wineries, you will pass by well-known chateaux such as Chateaux Margaux and Palmer. Numbers are limited to eight people on this small-group tour, ensuring you'll receive personalized attention from your local guide. 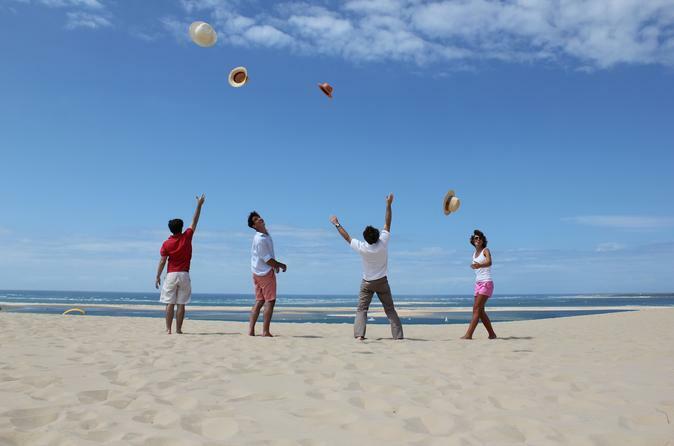 Spend a morning away from Bordeaux on this half-day trip to the Bay of Arcachon. On this small-group tour, visit Pyla Dune (Dune du Pyla), the largest sand dune in Europe, and admire the spectacular views from the top, before visiting an oyster farm for a sample of fresh oysters. Numbers are limited to eight people on this small-group tour, ensuring a more personalized experience. Enjoy a full day of gorgeous vineyards, stunning châteaux, fine wine and fresh oysters as you visit the Médoc wine region and the Bay of Arcachon for guided tours and tastings. Combining two best-selling tours at a discounted price, this Bordeaux Super Saver lets you take advantage of the Bordeaux region’s many delights in one day. Numbers are limited to eight people on this small-group tour, ensuring a more personalized Bordeaux experience. 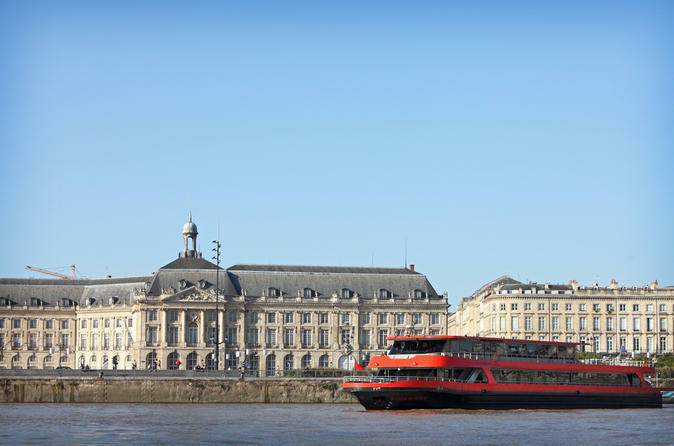 Discover Bordeaux's UNESCO World Heritage-listed architecture on this 3-hour lunch cruise along the Garonne River. With a welcome cocktail in hand, admire panoramic views of famous Bordeaux landmarks including Place de la Bourse, Quai Richelieu, Pont de Pierre and Basilica of St Michael from your pristine vantage point. Enjoy a freshly prepared 3-course lunch, made with locally sourced ingredients, as you take in the riverfront sights. 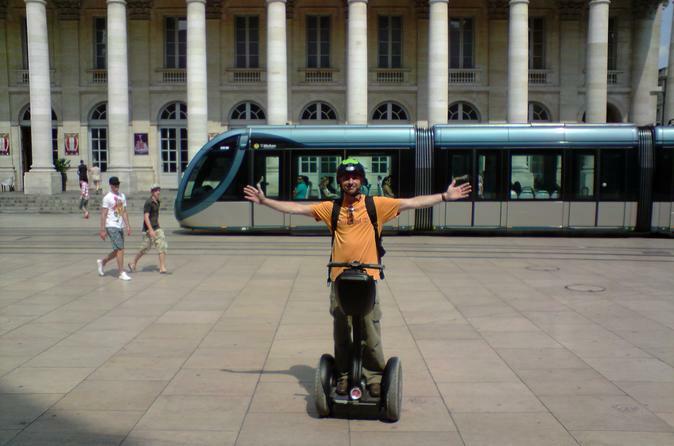 Explore Bordeaux in style and discover top attractions such as Place des Quinconces, Rue Sainte-Catherine, Place de la Comédie and Bordeaux Cathedral on this 1-hour Segway tour. Following a guide, glide along the banks of the UNESCO World Heritage–listed Garonne River and through the bustling city center. Visit historic monuments, cruise around grand squares and veer down shopping and dining streets thriving with visitors and Bordeaux locals alike. Your group size is limited to nine people to ensure a personalized experience. 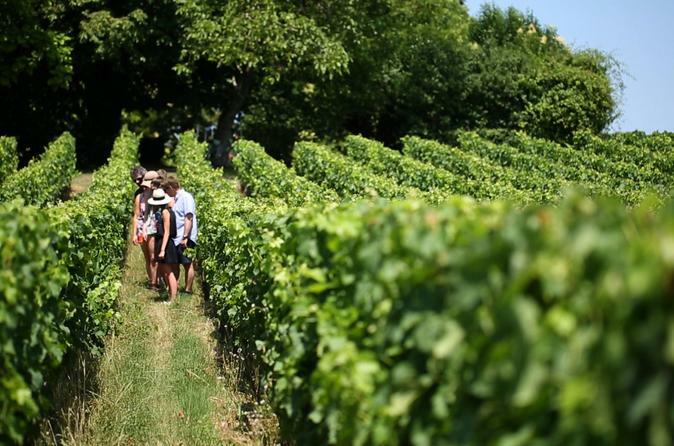 Spend a leisurely half day exploring wineries and vineyards on a 6-hour tour of the Graves region of Bordeaux, enjoying tastings and learning how to pair wine with food. 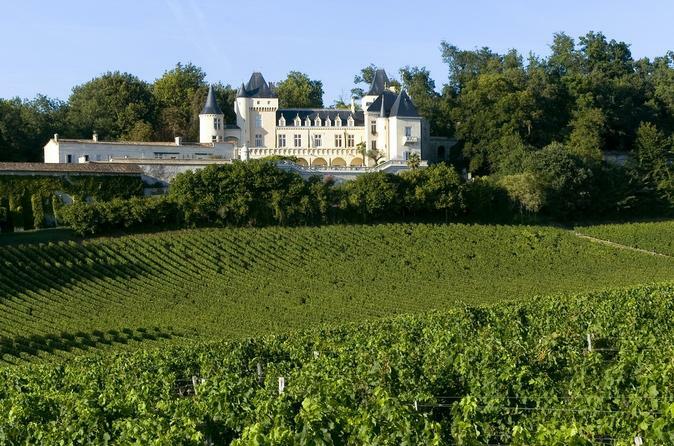 Visit two châteaux in the area with a guide, and see the age-old winemaking process up close. 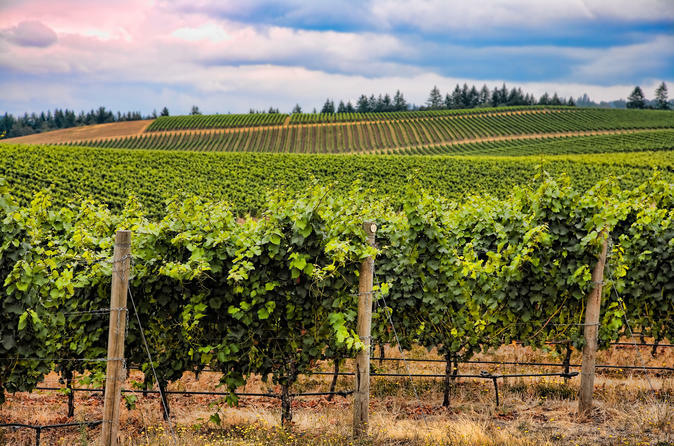 Marvel at row upon row of vineyards in the Graves region, explore the wineries and enjoy tastings of the delicate wine produced. Learn the intricate art of pairing wine with food, and gain an appreciation of the complex flavors in your glass. 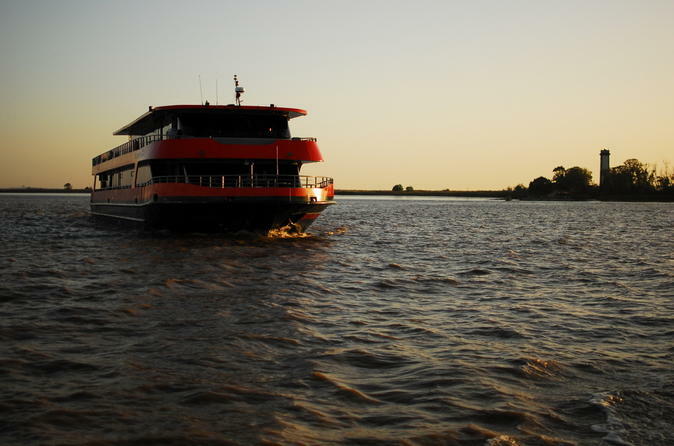 Admire Bordeaux's glittering waterfront on this 3-hour evening Garonne River cruise, with dinner served on board. Sip a welcome cocktail as you soak up views of the UNESCO World Heritage-listed cityscape, with sights including Place de la Bourse and Quai Richelieu, and sit down to a 3-course meal made with locally sourced ingredients. This Bordeaux Super Saver takes you on a full-day wine tour to Médoc and either St-Emilion or Graves. With your expert guide visit prestigious classified-growth châteaux and charming family-run wine estates for guided tours of the vineyards, vat rooms and cellars, followed by wine tastings. You’ll learn all about Bordeaux wine, winemaking and proper tasting tips as you savor a variety of wines paired with French bread and cheese. Break up your tastings with a lovely picnic lunch in Bordeaux. Numbers are limited to eight on this small-group tour, ensuring a more personalized experience. Get a comprehensive overview of Bordeaux's history, architecture, winemaking heritage and top attractions on this 2-hour tour by bus and foot. 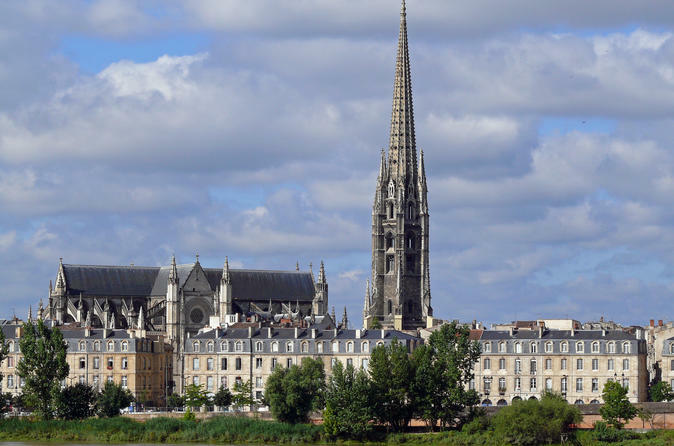 In the comfort of a coach, travel through Place des Quinconces, marvel at Bordeaux Cathedral and City Hall, and explore both sides of the UNESCO World Heritage–listed Garonne River. Hop off your coach and follow your guide on a 30-minute walking tour of the pedestrian city center, where the imposing pillars of the Grand Théâtre de Bordeaux await. 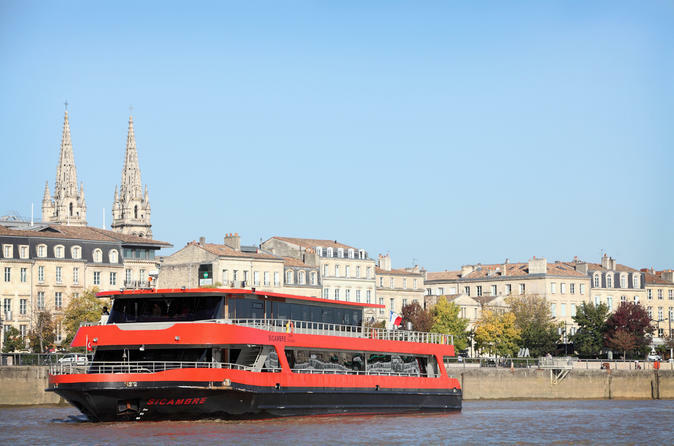 Discover Bordeaux by boat on this 1.5-hour Garonne River cruise, and enjoy a tasting of some of the region's finest wines on board. Beginning at Quai Richelieu or Cité du Vin, admire UNESCO World Heritage-listed architectural gems along the waterfront, such as Place de la Bourse. Cruise past ancient buildings and under modern bridges to the rolling vineyards of the Aquitaine countryside, all while sipping wonderful local wines and learning about Bordeaux from your onboard guide. 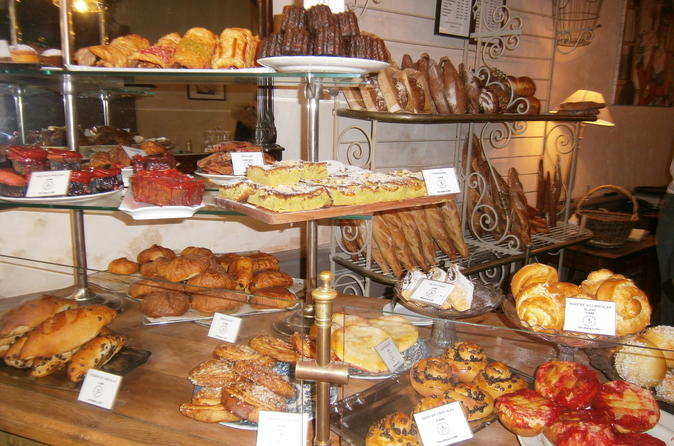 Food and wine are a huge part of life in France and the area of Bordeaux is no exception. While you’re in Bordeaux, one of the premier wine regions of France, take advantage of its culinary bounty on a full-day wine and food tour. You’ll visit four wine estates and enjoy lunch at a local restaurant. Discover Bordeaux with this city pass spending less. 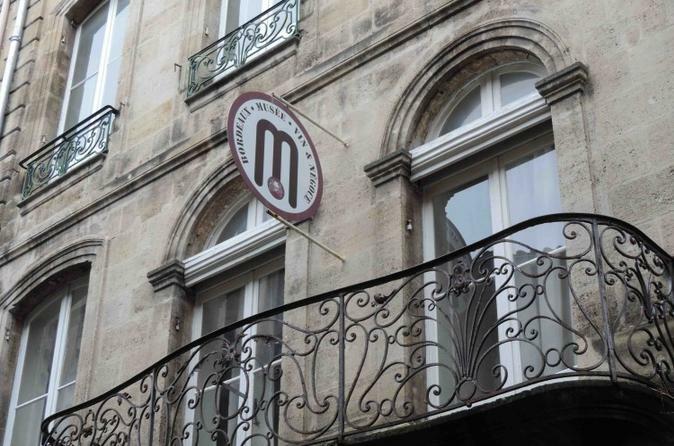 For those who wish to make the most of their stay, the Bordeaux Metropole city pass will give access to numerous monuments, cultural attractions and to La Cité du Vin (before 12pm only). This pass is available for 24H, 48H or 72H. Explore the city of Bordeaux by bicycle. 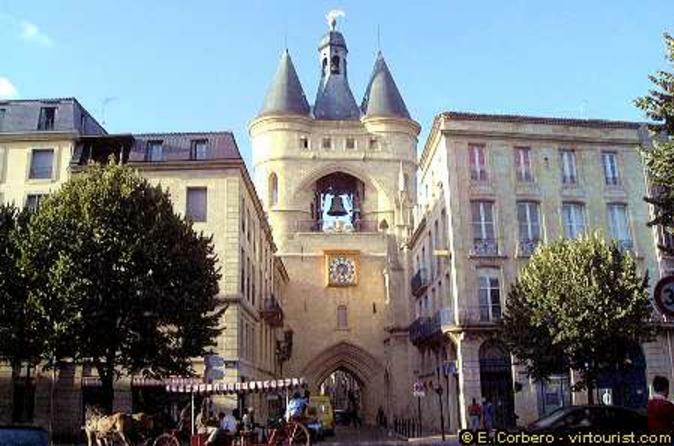 Be guided through the charming 18th century style streets of Bordeaux and pass by the must-see monuments of the city. 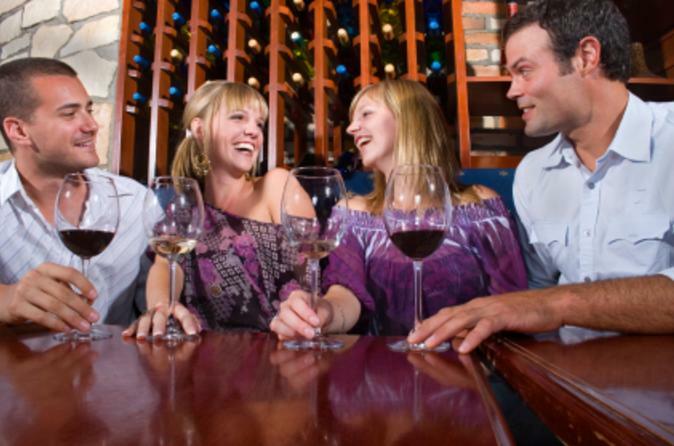 Participate in a fun quiz and win a bottle of wine! After learning about the history of Bordeaux and its present day way of life, enjoy a delicious snack with coffee or Bordeaux wines. When your ship arrives in Bordeaux, spend your time in port on a private city shore excursion of Bordeaux and St Emilion – two of the area’s most delightful towns. With a private guide you’ll have a one-hour tour of Bordeaux, a UNESCO World Heritage Site, followed by a tour of the charming village of St Emilion, full of narrow streets and historic buildings. 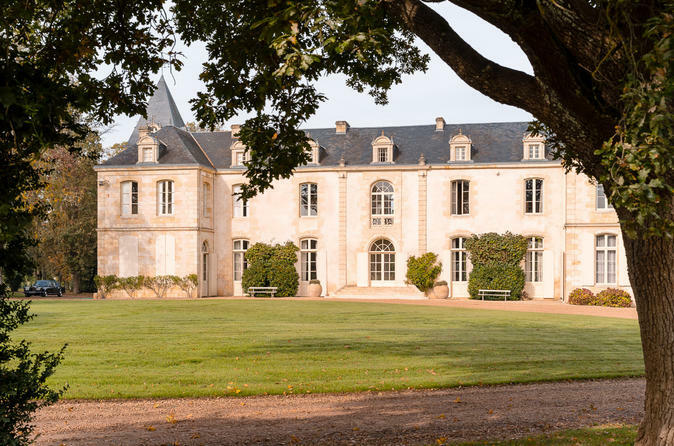 You will also enjoy a wine-tasting session in a breathtaking Grand Cru Classé chateau. Numbers are limited to eight people on this small-group tour, ensuring personalized attention from your knowledgeable guide. Instead of just the usual wineries of St-Emilion or Médoc, this wine tour also lets you experience a different side of Bordeaux. Wine taste your way through the prestigious St Emilion plus two of Bordeaux’s lesser-known wine regions, such as Sauternais, Fronsac, Lalande de Pomerol or Bordeaux and Bordeaux Supérieur, all while learning about the French art of winemaking from your expert guide. 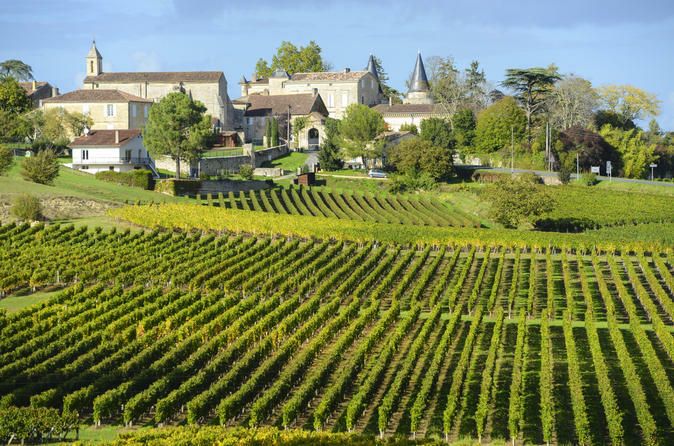 Sip signature local wines, tour the wine cellars, enjoy lunch at a beautiful wine estate, and finish by wine tasting at a Top Growth chateau in UNESCO World Heritage-listed St-Emilion. Enjoy a full day of gastronomic delights with this Bordeaux Super Saver, combining a gourmet food tour in Bordeaux’s city center and a wine-tasting tour in Médoc. 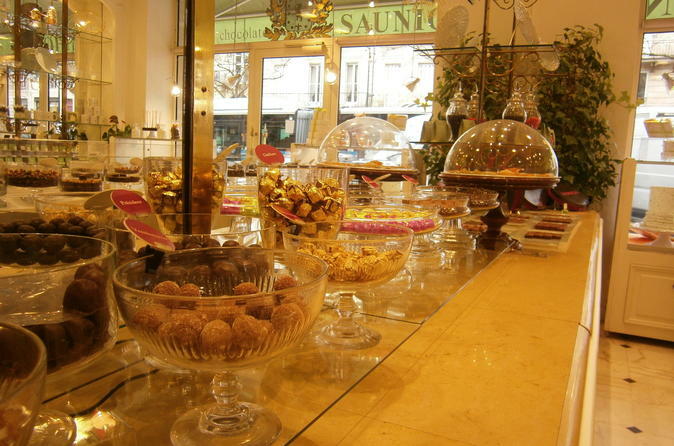 Wander along charming streets and visit local shops where you'll sample French breads, cheeses and chocolates, followed by a buffet lunch. 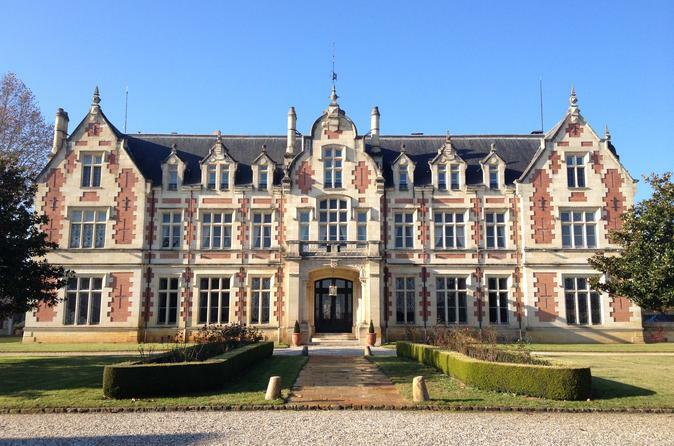 Then drive to the nearby Médoc wine region to visit two lovely château wine estates. 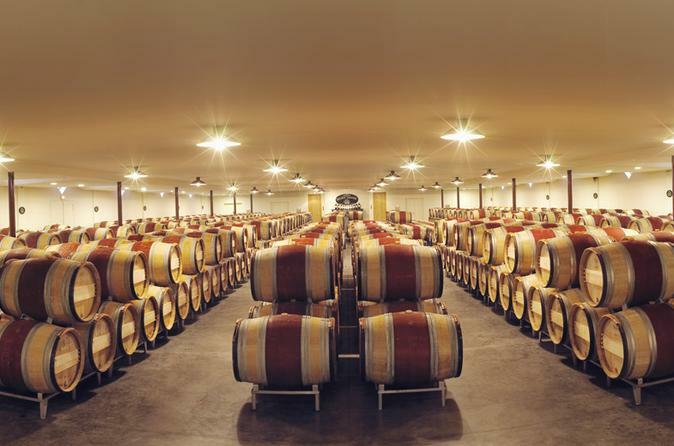 Tour the vineyards and cellars, learn about the winemaking process, and sip Bordeaux wines paired with small bites. Numbers are limited to eight on this small-group tour, ensuring a more personalized experience. 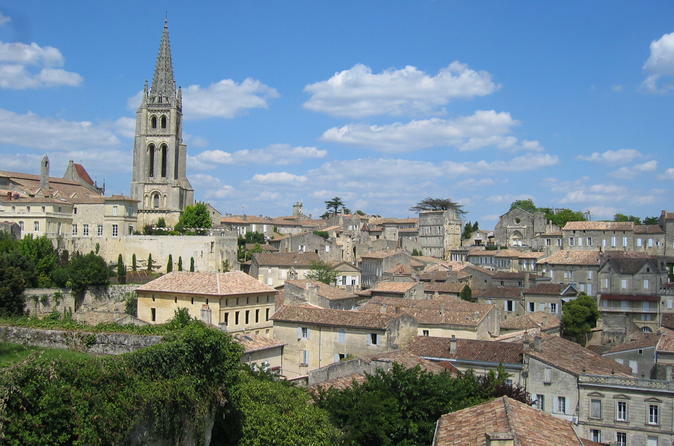 St Emilion is a UNESCO World Heritage Site and a beautiful place to spend your time in port in Bordeaux. On this half-day shore excursion, you’ll tour this charming French village. Walk along the original city walls and climb the steep cobblestone streets, exploring wine cellars, artisan studios and art galleries with your guide. You’ll also have free time to enjoy a wine tasting, or you can pay a visit to the famous underground church carved out of solid limestone. Numbers are limited to eight people, ensuring personalized attention from your knowledgeable guide. 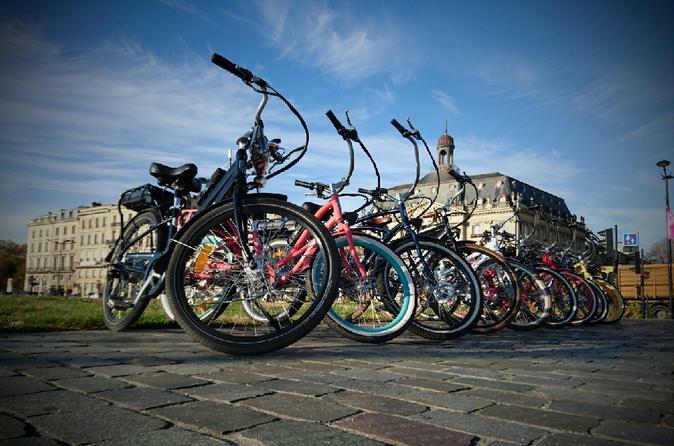 Spin through Bordeaux and take in top city attractions with ease on this 1-hour electric bike tour. 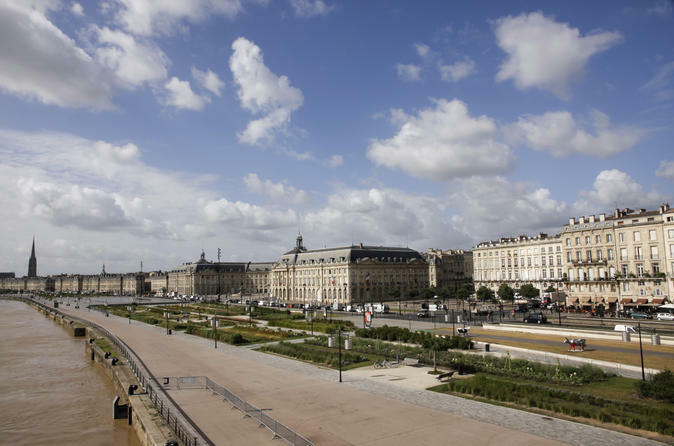 Follow a guide along Bordeaux’s pretty boulevards, and discover popular landmarks including 14th-century Bordeaux Cathedral, Place de la Comédie, and the Place des Quinquonces. 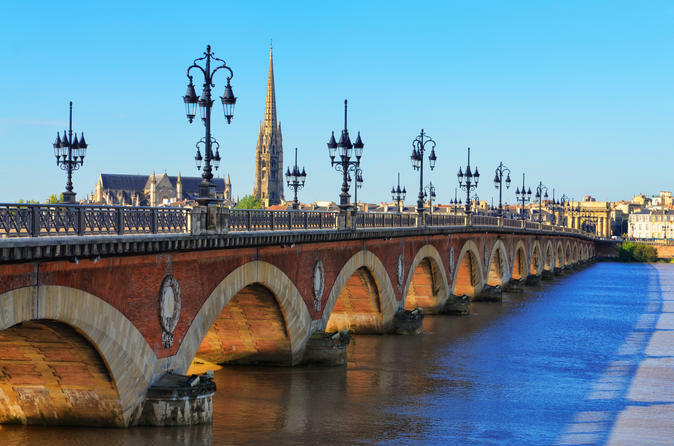 Pedal along the banks of the Garonne River and gaze out from your vantage point on the impressive Chaban-Delmas bridge. 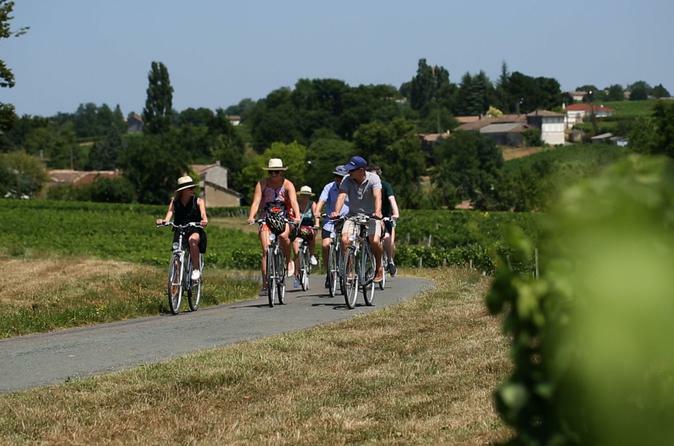 Along the way, gain insight into Bordeaux’s winemaking culture and heritage.This guided tour includes bike hire and helmet. 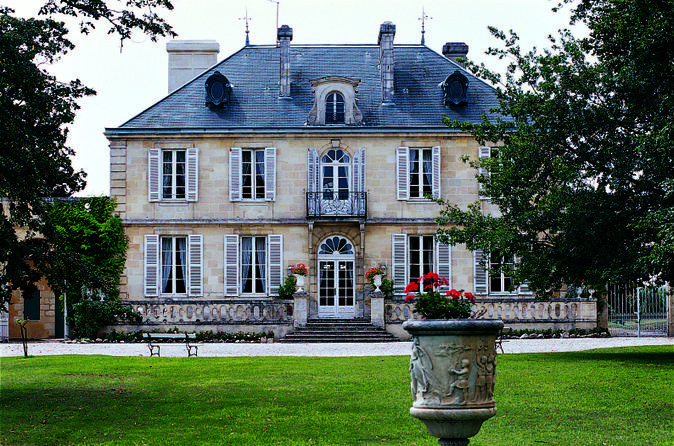 Château Paloumey is just 20 kilometers from Bordeaux, at the start of the Médoc. You will be able to discover a family-run estate on this one hour tour of the vines. 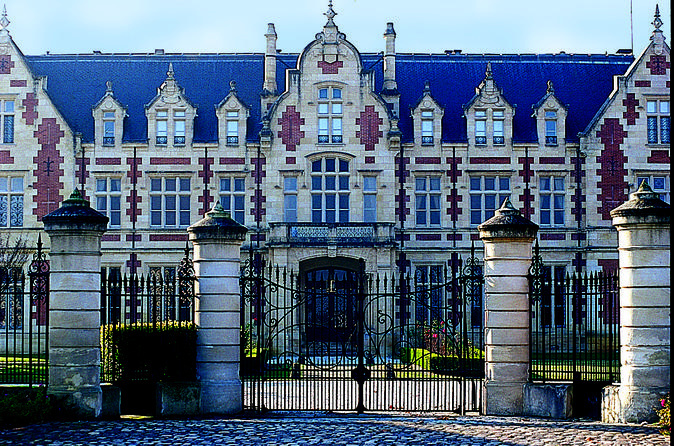 Take a trip through French history with a visit to the Bordeaux Wine and Trade Museum. Explore the rise of the wine trade, from the evolution of the wine merchant in the Middle Ages to the present day wineries and exports. After your tour, you can partake in a commented wine tasting, giving you an introduction to the distinct wines of the Bordeaux region. 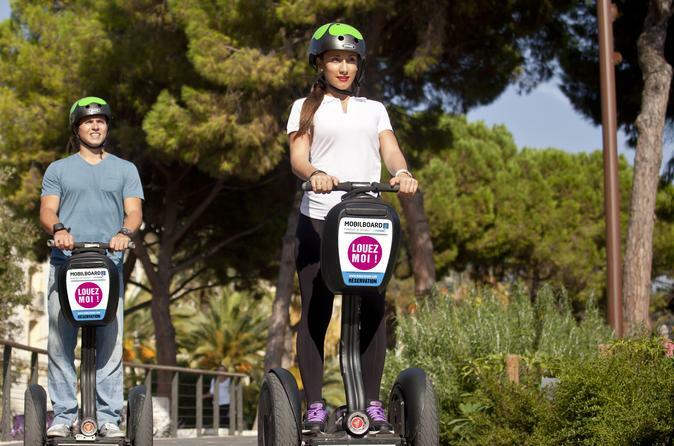 Explore UNESCO–listed Bordeaux in style and discover top attractions with ease on this 2-hour Segway tour. 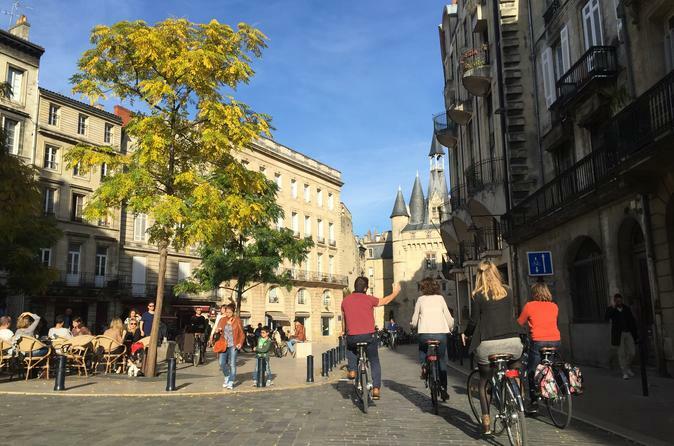 Follow a guide through the streets of Bordeaux by Segway and take in sites of interest including 11th-century Bordeaux Cathedral, Place de la Comédie, and Place des Quinconces. Spin along the banks of the Garonne River and admire sweeping views over the bridges that span the waterway. Along the way, listen as a guide brings Bordeaux’s colorful past to life. When your cruise ship arrives in Bordeaux and you have only a single day to see the best of this area, book a private wine tour to the Médoc, one of France’s most well-known wine regions. The Médoc produces some of the most renowned red wines in the Bordeaux wine region and offers some of the best wine-tasting opportunities in the whole of France. You will visit famous classified growth vineyards and castles, where you can taste wines from the Médoc and other French regions. 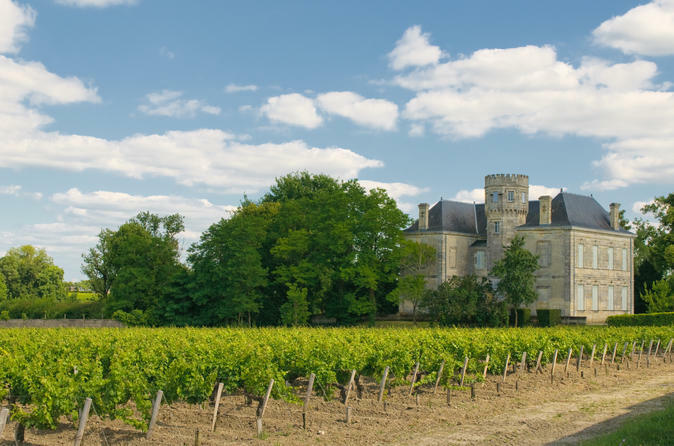 Head deep into French winemaking country on this 9-hour private Médoc castle tour from Bordeaux. Explore the so-called 'route des châteaux' du Médoc and discover Margaux, Saint-Julien, Pauillac and other famous appellations. Along the way, visit three winemaking estates and learn the techniques and traditions at play from vine to glass. Enjoy a traditional French apéritif among the vines. 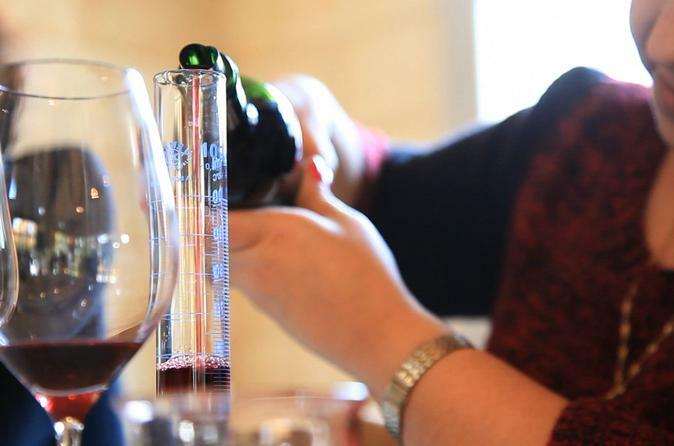 Sample varietals such as merlot and cabernet, and blend them to your taste to create your own wine. Pick your own route to the castles of your choice with a private guide. 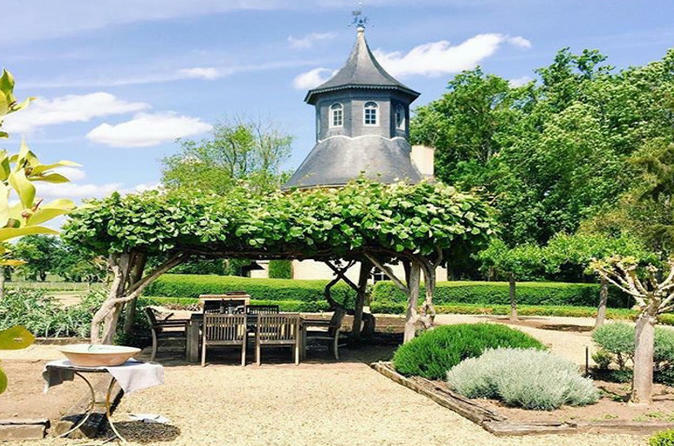 Enjoy a 2-hour private tour of the Chateau de Reignac property and explore this Bordeaux vineyard including the cellar, the greenhouse designed by Gustave Eiffel and a pigeon house of the 16th century. This visit will be followed by a Bordeaux wine-tasting of 3 wines or 4 wines depending on the option selected. 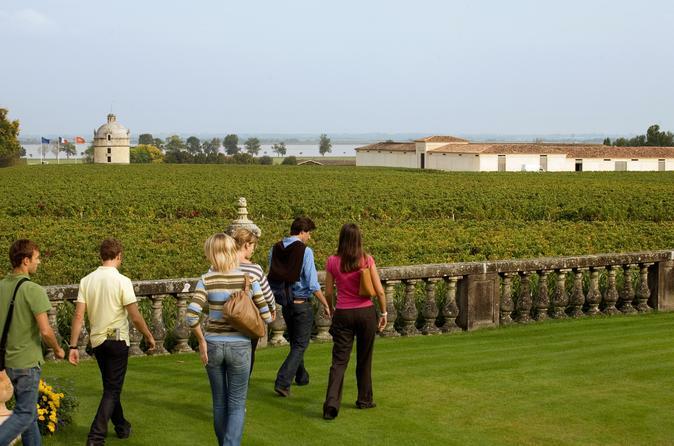 Enjoy a morning discovering the Medoc region. 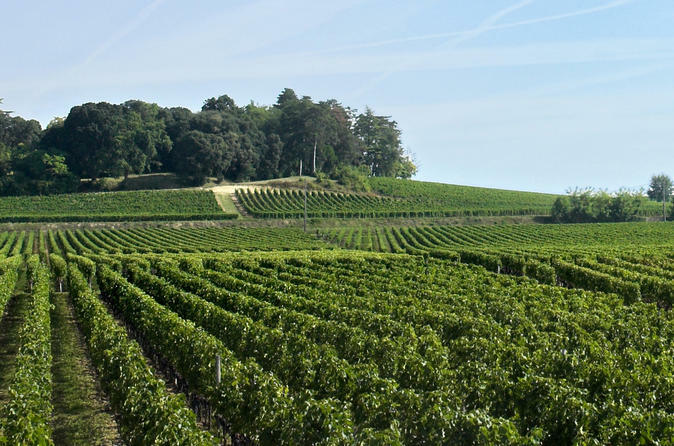 Pass by mythical appellations where the majority of Bordeaux’s famous wines are produced. If you like the Cabernet grape, you will love the powerful and full bodied wines of this region! 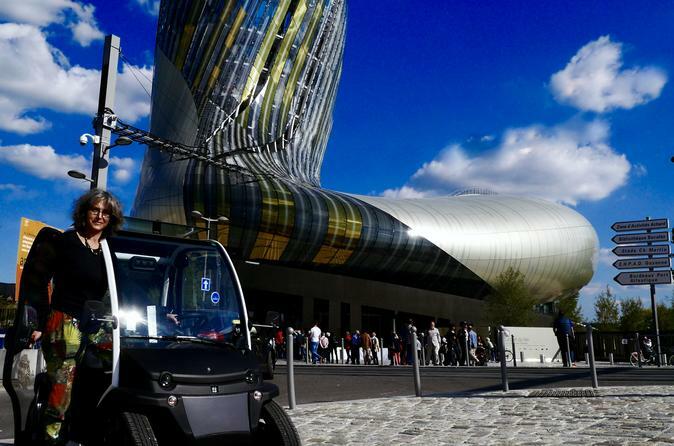 In this 2-hour tour, on board of your electric vehicle with a 360° view, you will discover the main highlights of Bordeaux: its monuments, its architecture and more, guided by your multimedia tablet. Plus, you will get an open priority ticket to go to La Cite du Vin wine Museum where you will enjoy an audio-guided visit of the permanent tour and a wine tasting at the Belvédère, with its unique panoramic view of the city. Discover the aromas of the wine in the amazing Scent Garden of a family owned winery. You will live an original experience that will wake up all your olfactory and gustatory senses. During this 2 hour private tour, you will discover the men behind the wines of Reignac, the wine cellar and the wine techniques they apply. The unique tasting tower, an ancient pigeon house from the 16th century, as well as the greenhouse designed by Gustave Eiffel will be part of your gourmand journey in the universe of Reignac.